Maintaining good dental care early in life helps ensure continued tooth and gum health in the future. 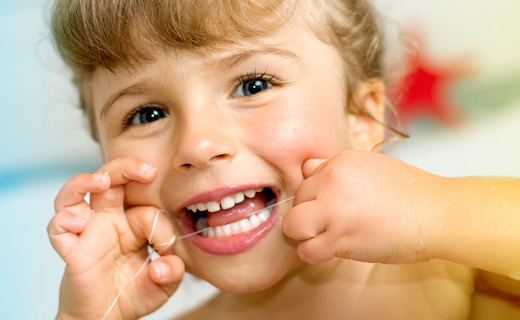 When it comes to dental hygiene for kids, you can never start too soon. The most basic elements of dental care are regular brushing and flossing, but it’s important that your children know effective dental hygiene techniques and have access to quality dental products. 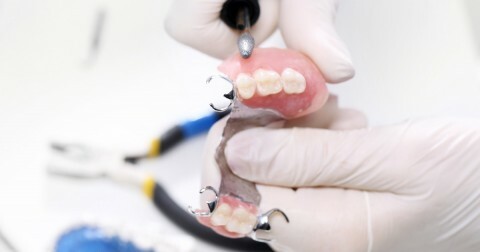 You should also try to make your children comfortable with visits to the dentist and routine dental cleanings. The earlier you start exposing them to good dental care, the more likely they will be to keep their beautiful smiles for life. Good oral hygiene prevents dental plaque from building up on teeth; this inhibits cavity formation and reduces the oral bacteria that cause bad breath. Your children’s dental care routine should include twice-daily brushing with a soft-bristled toothbrush and daily flossing. When they are old enough to brush unsupervised, consider introducing an electric toothbrush. If bad breath is a problem, using a gentle mouth rinse made for kids can be helpful. To encourage kids to stick to their routines, keep them interesting by changing dental care brands and including themed products made specifically for children. Popular cartoon characters and bubble-gum or fruit flavors are favorite products for kids. Using quality products makes cleaning more efficient. Be sure your choices are accepted by the American Dental Association. Visits to an affordable dentist are key to good oral health. Even with regular dental care, your children need to see a dentist regularly to catch developing problems before they become serious. In the long run, preventative dental care is less expensive and less painful than addressing advanced dental problems. Your children’s dentist in Allentown can recommend dental care products, brushing and flossing techniques, and treatments to keep oral hygiene on track. Regular dental check-ups every six months and routine professional cleanings as recommended will help your children enjoy lifelong healthy smiles.